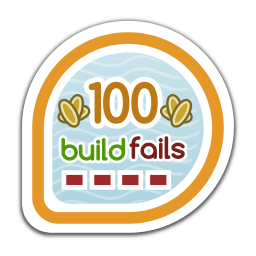 Submitted 100 or more koji builds that failed to build. First earned by vicodan on 2013-08-28. Last awarded to berrange on 2019-04-03.